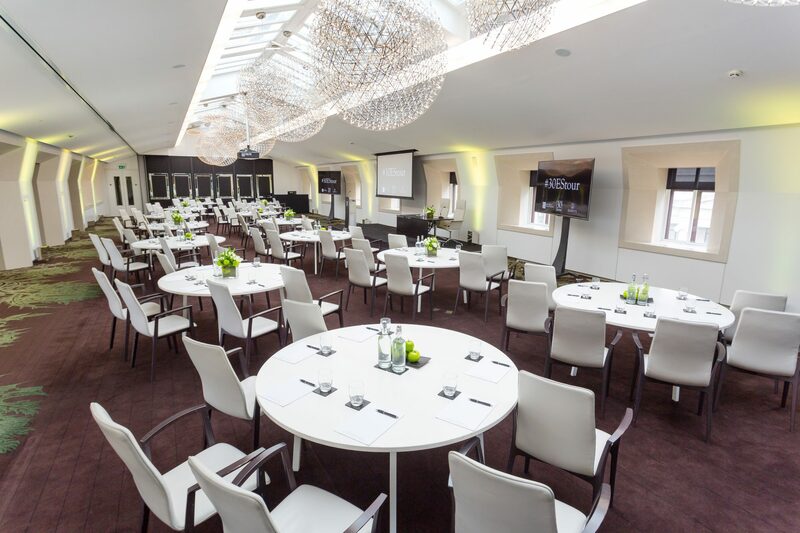 Our two Penthouse State Rooms with adjoining Rooftop Terrace provide the perfect spaces for both day and evening events, from a small conference to a summer party. Embrace flexibility for an event with the wow factor. Our flexible spaces can be transformed from a conference facility by day, to a luxurious seated dinner by night. With a capacity of 230 for a reception, 140 theatre or 160 for a seated dinner, we can accommodate a range of event styles. Furthermore, you have the choice to separate the spaces. 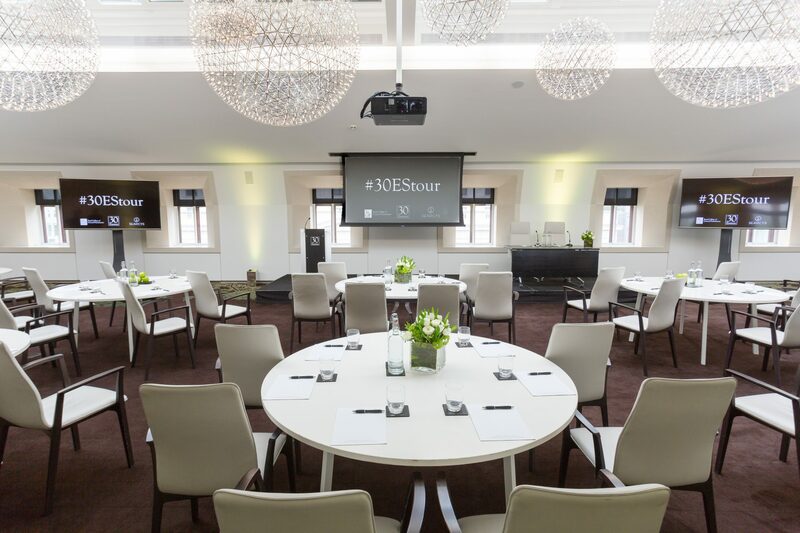 The Euston Room is perfect for main events when complemented by hospitality and networking in the Stephenson Room and Rooftop Terrace. 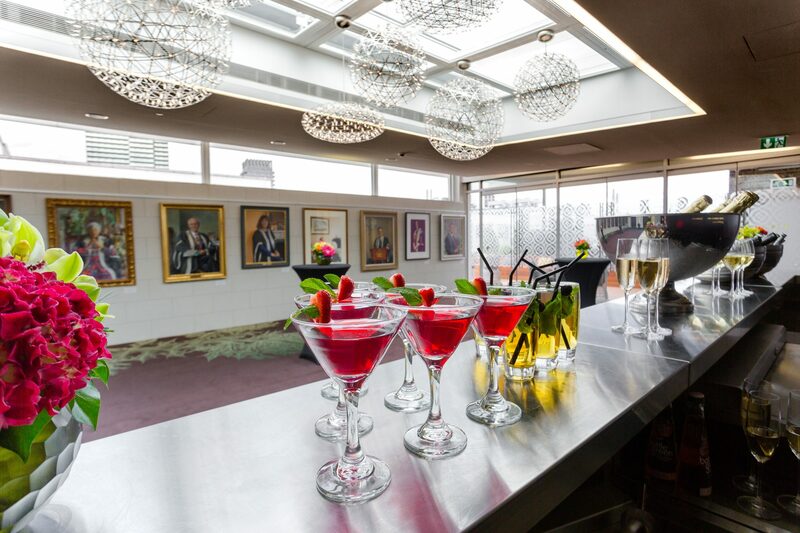 Benefit from exclusive use of our top floor, giving your event a sense of exclusivity. Likewise, a dedicated cloakroom will provide that final touch. 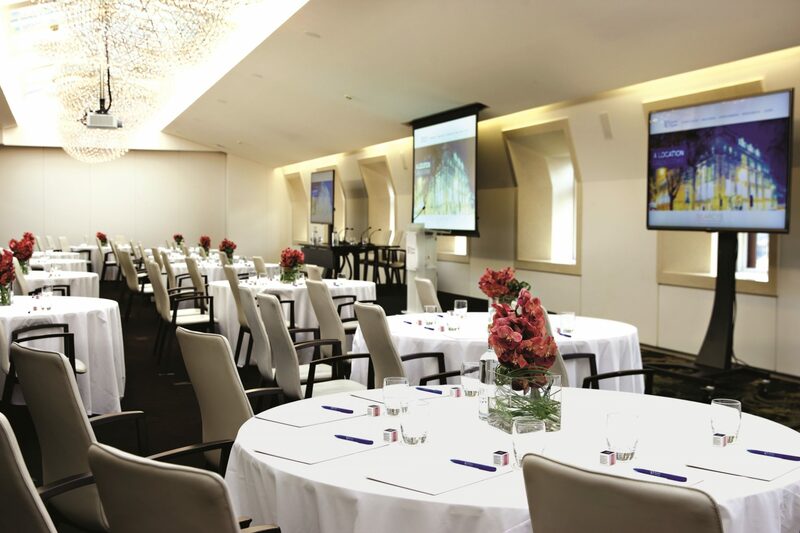 Natural daylight from the multiple skylights and windows make the State Rooms perfect for conferences, award ceremonies, formal dinners and special occasions. Additionally, the stunning Moooi lighting and tasteful décor also provides a sense of occasion for every event. Read our State Rooms & Rooftop Terrace Vital Statistics for full specifications and details of our AV offering. 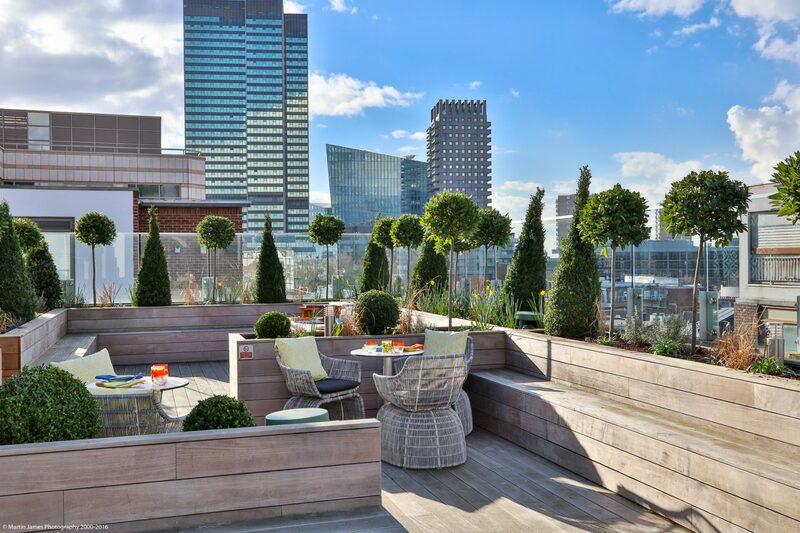 Wooden decking, comfortable seating and built-in AV make our Rooftop Terrace an amazing outside area for any event. 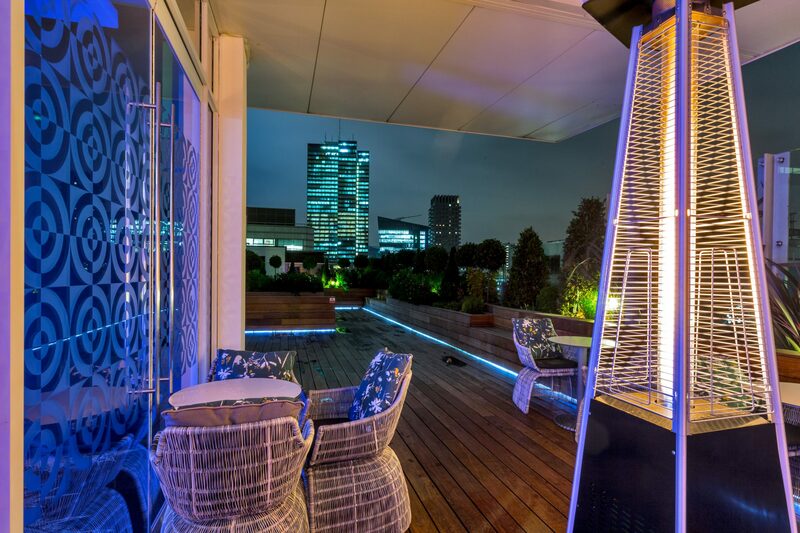 Embrace the stunning city views whilst listening to our top quality Bose speaker system and enjoying a delicious BBQ. With a capacity of 90, this space combined with the Stephenson Room provides a perfect break out from conferences for networking, events and parties. Being a partially covered space, we’re equipped to overcome the unpredictable British weather. 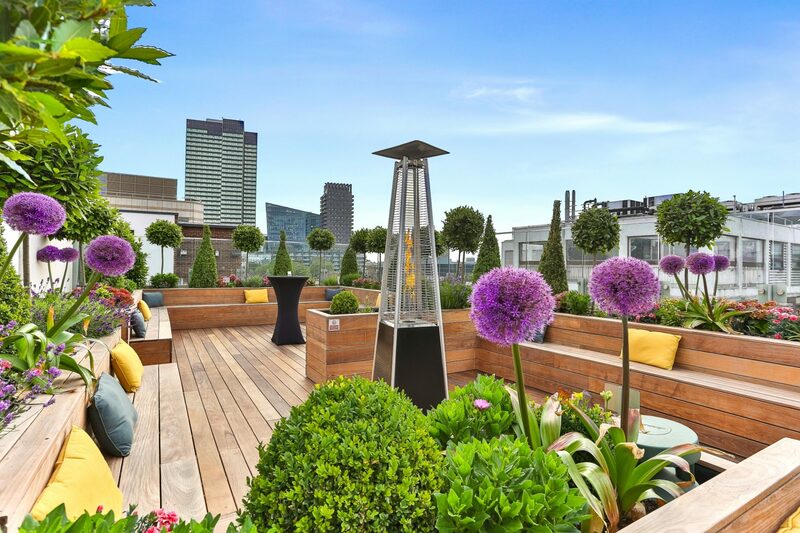 Take advantage of this central London outdoor area and make your next event one to remember. 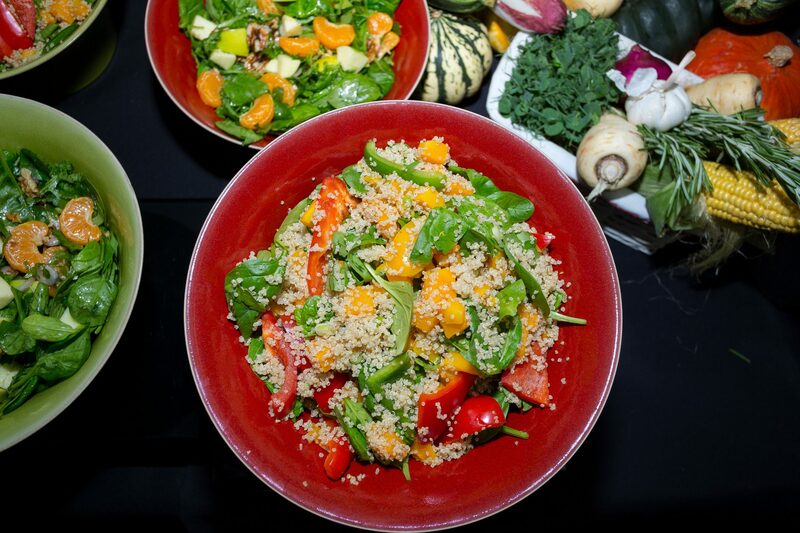 At 30 Euston Square, we understand the importance of food for a positive event experience. Therefore our chefs work hard to design creative new and innovative dishes and menus using only the freshest seasonal ingredients. As a result, we pride ourselves on our range of menu choices and continually keep up with the latest trends. 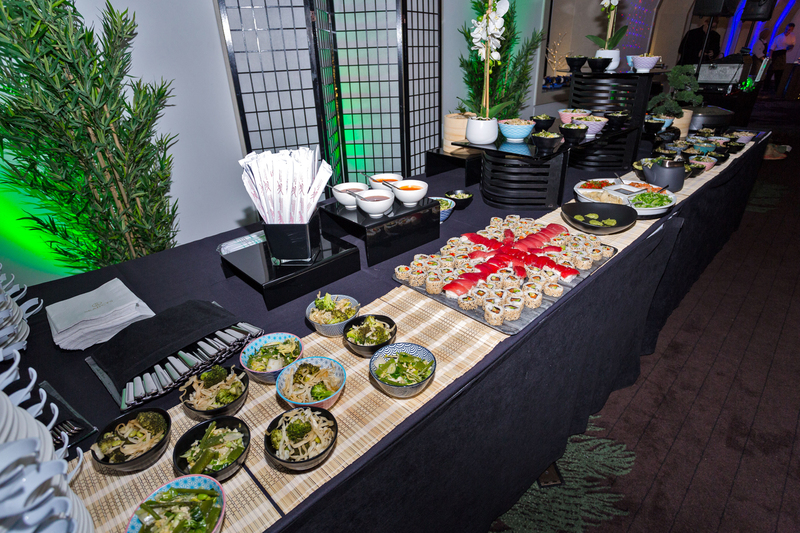 For example, our chefs recently created new ‘street food’ style food stations which provide a more interactive catering element. Watch our chefs in action on with our holy smokes BBQ, whilst also creating your favourite ice cream desserts. Alternatively you can also choose from a traditional British picnic or an Indian inspired wrap bar. 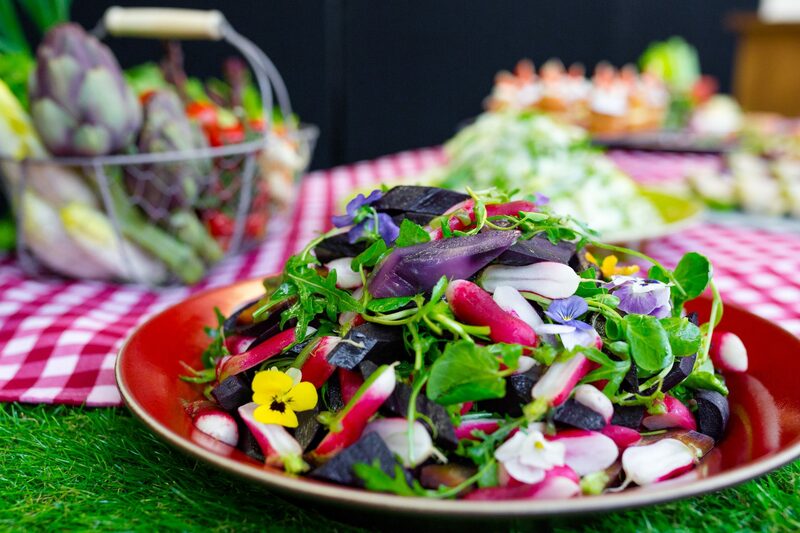 Take a look at our range of menus to find out more. Finally, our people are what enable you to enjoy a great event. Our experienced Events and Operations team are always on hand to provide advice on the best layout, AV and menus to enhance your event experience. Are you looking for a larger conference space or are organising a number of meetings and want to follow with a rooftop drinks reception? We have a number of options available, enquire today to organise your perfect event.